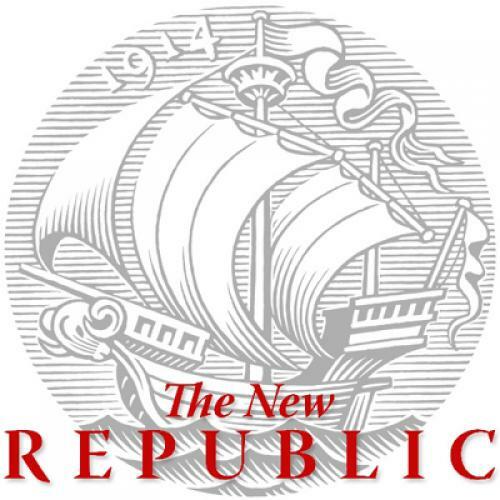 Jonathan Chait: For The New Republic’s 96th anniversary, we’re running a feature where some longtime writers and editors highlight a favorite article. Wait, you ask—96th anniversary? Why? I think it’s because we forgot to do anything for the 95th, and the 97th through 99th anniversaries are at least as silly as the 96th, and by the 100th anniversary, we’ll be living under the Palin regime, where all forms of reading will have been forgotten, and we’ll all be wearing animal skins and subsisting on wild plants. So, before that happens, enjoy! Fortune magazine ran a color photo essay featuring some of these functions under the title, "Business Goes to Washington," Ford chairman Phillip Caldwell (1980 losses: $1.5 billion) was quoted commenting with pleasure on the new mood Reagan had brought to Washington: "Hope feeds on itself, just as defeat feeds on itself," Caldwell, however, was feeding on poached steelhead salmon, or, in the other sense, was feeding on the Pepsi Cola Company. He did not feed on himself all week. Another "definitely BT" affair was a "sumptuous" (said the Post) dinner given by Roy Cohn and his law partner at the Madison Hotel. Cohn, who is innocent of a variety of federal crimes, takes an "I dare you" attitude toward deductions. He told the New York Times recently that his firm pays him a salary of $75,000 to $100,000, but picks up (and deducts, I presume) $500,000 a year of his expenses, including houses in New York, Connecticut, and Acapulco. Franklin Foer: "The Passion of Joshcka Fischer" by Paul Berman. Intellectual history can be thrilling! Paul is the heir to Edmund Wilson, another alum on the magazine. And this is the piece that unlocks the politics of the late twentieth century. "The Choke Artist" by Jason Zengerle. This is a baroque story about America's most famous doctor that keeps twisting and twisting. Bizarre and completely gripping. "Pin Prick" by Ryan Lizza. Ryan essentially destroyed George Allen's political career with this piece. It's the perfect marriage of narrative and investigative journalism. "Hitler is Dead" by Leon Wieseltier. Leon's definitive piece on—what else?—the Jewish Question. One of those pieces that ends an argument. Jonathan Cohn: "Cloaks and Daggers" by Jonathan Chait. OK, as you'll see below, I initially read the instructions for this assignment too quickly. The idea was to highlight somebody else's article, not your own. Duh. Anyhow, that's a lot more difficult. I'm not sure how to choose among the many weighty, historically important articles I've read in these pages over the years. But one piece does stand out in my mind, not as the most influential but certainly as among the most entertaining. It also captures the essence of this particular writer, who happens to be one of my closest friends. Ladies and gentlemen, I give you Jonathan Chait, reporting from January 20, 1997. "Irrational Exuberance" by Jonathan Cohn. Health care is the subject most people associate with me and, without question, it's my coverage of health care for TNR that makes me most proud. But if I had to pick out one article that I remember most fondly, it's an article on something entirely different: Political science. I had majored in political science in college and had kept up with it after graduation. But it seemed less and less relevant to the work I did as a journalist covering policy and politics. And one reason was the rise, within the profession, of rational choice—a method of scholarship that took the "science" in political science very seriously, to the point of ignoring real-world application. My article, the product of many months' reporting, told the story of that transformation and its effect on the discipline. It turned out to be a surprisingly compelling narrative, full of interesting characters. (Stanley Hoffman's quip about the study of noodles remains one of my all-time favorite quotes.) And it had many layers of complication. As I discovered, and reported, the field was clearly richer for the presence of rational choice. There was more value to rational choice than many critics acknowledged. The problem was that rational choice was dominating scholarship, crowding out other methods of inquiry. Michelle Cottle: "The Griz" by Michael Lewis. John B. Judis: “The Eclipse of Progressivism” by Herbert Croly. I am always drawn back to an essay by Herbert Croly that appeared when I was just a young whipper-snapper. In October 1920, on the eve of an election pitting Republican Warren Harding against Democrat James Cox. In his essay, titled “The Eclipse of Progressivism,” Croly lamented that neither candidate shared the progressive or liberal faith that “the public welfare demanded more or less drastic changes in national organization and policy.” But Croly was unrepentant. He recommended that New Republic readers back Parley Parker Christensen, the candidate of the Farmer-Labor Party, who ended up getting one percent of the vote. Croly’s essay anticipates and bemoans the reign of conservative Republicanism that would prevail in the 1920s, but he also held high the banner of a progressive politics that would contest the power of “one class” to dominate American politics. He wanted American workers to “become conscious of the need of collective action, not for the purpose of undermining the loyalty of wage-earners to the state, but for the purpose of creating in a redistribution of power among classes the needed foundation for an ultimate class concert.” Croly was not invoking the traditional idea of the blue-collar worker arrayed against the Robber Baron. His idea of the working class included “those who work with the body and with the mind and those who work on the farm and office as well as in the factory.” He was also not advocating proletarian socialism, but a more egalitarian capitalism. Croly’s ideas in this essay thus anticipated not only the retrograde politics of the 1920s, but the liberalism of the 1930s and of Franklin Roosevelt’s New Deal. Is it relevant now? Well, some of the language may seem archaic, but the basic idea of democracy is not.